BANGKOK, Feb 19 — Thailand is confident in achieving its target in the pursuit of a Drug-Free ASEAN in 2015 while allocating Bt15 million in financial assistance for Myanmar to initiate a development project aimed at eradicating opium and drug production, according to the Narcotics Control Board. 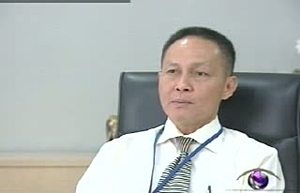 Sukhum Opasnipat, deputy secretary-general of the Narcotics Control Board said that in the pursuit of a Drug-Free ASEAN in 2015, aiming at eliminating opium in member countries of the Association of Southeast Asian Nations (ASEAN), he was confident that Thailand will be able to achieve its target. Currently, about 1,000 rai (or about 400 acres) of land along border areas in the northern provinces of Chiang Rai and Chiang Mai have been found to be used for illegal opium cultivation. In order to help eradicate opium in Myanmar, Thailand’s Narcotics Control Board allocated Bt15 million of financial support for the Myanmar government to initiate a development project for sustainable alternative livelihood of residents of the opium development areas by applying the Doi Tung Development Project as a model. Mr Sukhum said that the Myanmar government selected Tachileik in Shan State as a pilot area for this development project by educating people about His Majesty King Bhumibol’s initiatives and helping minority groups in Myanmar grow alternative crops as a substitute to opium, adding that the Doi Tung Development Project in Thailand will help sell products made by Myanmar villagers participating in the project. The deputy secretary-general expected that Thailand will realise benefits from this project as it will help reduce the number of drugs smuggled into the country through the border. In addition, Mr Sukhum remarked about the overall drug situations in ASEAN member countries that the spread of drug abuse in these countries is estimated to be proportionate to Thailand, particularly Malaysia, the Philippines, Indonesia, Cambodia, Vietnam. Heroin and crystal methamphetamine, commonly known as ‘ice,’ are the narcotics used most by drug addicts in the region.